"On the Inside," by James Kipling, is a suspense crime thriller that continually wows from start to finish. The story revolves around Detective Hazel Hanson, a fierce female protagonist, with stubborn tendencies and bullish approach to solving crime. Set in New York City, Hazel runs into problems when she is assigned to solve the puzzling "Slitter Case" -- a case involving the brutal killings of young women. The story really takes off when federal law enforcement gets involved -- and Hazel's love appears on the scene. The plot really has all that you could want from a thriller: a serial killer, mafia, law enforcement, assassinations and conspiracies, and more. The book has a huge psychological component, and you find yourself wondering which characters you can trust. The plot, between the suspense, action, and characters, will keep you up at night. 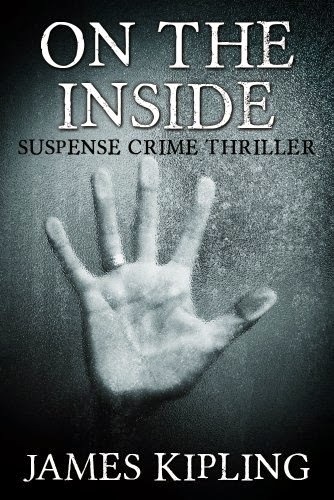 Overall, if you like smart writing and a clever, engaging plot, then "On the Inside" is the perfect crime fiction new release for you!